The members of "One Direction" are running in different directions these days. While the other members of English-Irish band have began with their solo music careers and are signing deals with music companies, Louis Tomlinson has decided to discover new music talent as he feels he has a real knack to do it. The news about Liam Payne signing a Capitol Records deal flashed the headlines in July which doubled the fear of 'One Direction “being permanently ended among its fans. Earlier, Harry Styles also signed a music contract as a solo singer and began his Hollywood career as an actor with Christopher's "The Dunkirk ". Headlines also spotted Niall Horan, another member of the group who is also found on the verge of following in his colleagues and has confirmed a music agreement deal launching to establish a singing career as a solo singer. 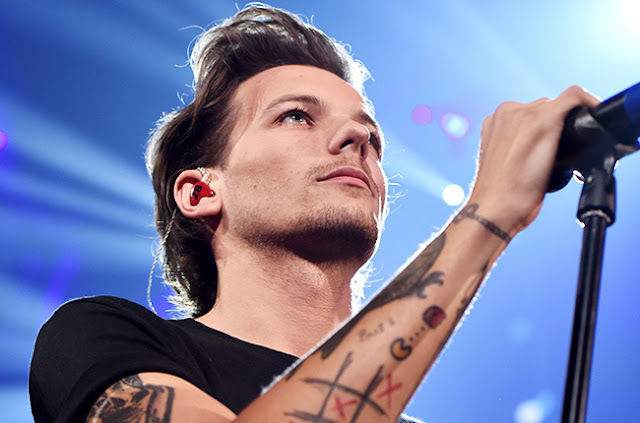 Louis Tomlinson made his own song label and signed a deal to serve as an imprint with Syco Company. The company belongs to Simon Cowell who is singer's adviser and has been looking forward to have big from his opening act "a girl band'. Reports confirmed Simon’s dealings who said his firm has hired Louis as an imprint for a record label. He has discovered a new talent who would be unveiled later in 2016. He says he has high hopes with singer's first act and he hopes they are going to be incredible. According to Simon, they began with the idea almost 18 month back and the singer was stuck with it. He heard the group last night and would meet them in next week's rehearsals. He insisted, the 24-year-old is blessed with amazing instincts to find the new talent. They are really amazing and incredibly unbelievable artists. Simon is sure to have a breathtaking response whenever “One Direction" who is on pause decides to reunite and returns onstage with their typical throwing performance but at the same time, he doesn't feel like waiting for the group to reunion. Commenting onto their regrouping, Simon says, he thinks young people are dying to see the reunion of these boys whether it’s for a tour or a song. Each member is expecting a successful solo career which assures a lot coming out if it. Simon reckons the group would ever make great records together which he believes they should do. He says he is not ruling out anything and cannot make any decisions but with these boys, he can only leave the ball in their court. Simon is the man who has been expressing his annoyance for the group partying ways in different directions. He also said he was not really pleased to know about Liam's contract with Capitol Records to move on as solo music singer. He previously had pointed out his annoyance, but did not openly reveal it. However, it was first time when he marked his anger on Liam's decision. He says he is honest to disclose that Liam's decision is a bit irritating. And the main reason of this is that another name is getting one more member out of the group. They are the members of one band and he can’t understand why they don't feel bad to spilt after working together for so many years.